The Brooks PureGrit is our lightweight shoe for trail blazers. The super lightweight construction ensures you feel as close to the earth as possible with a 4mm midsole drop, while the multi-directional lug pattern of the outsole provides impressive grip over any terrain and have been reinforced in this latest model to ensure durability. The Ballistic Rock Shield ensures that your foot is protected from any surface hazards and the new Ariaprene tongue wrap provides a secure fit, drains water fast and prevents dirt and debris from getting in so you can enjoy uninterrupted explorations. 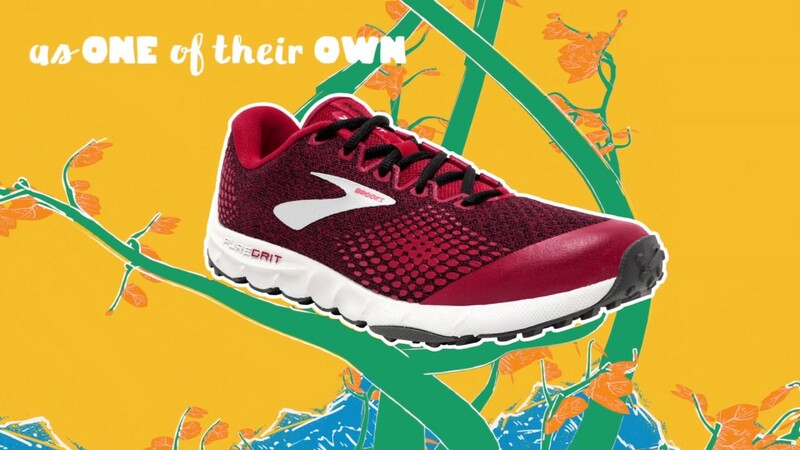 Find out more about Brooks Women's PureGrit 7 and Men's PureGrit 7 today, or discover other options within our range of lightweight trail running shoes for men and women’s lightweight trail shoes.